Established as Bombing Squadron ONE HUNDRED TWENTY SEVEN (VB-127) on 1 February 1943. Redesignated Patrol Bombing Squadron ONE HUNDRED TWENTY SEVEN (VPB-127) on 1 October 1944. Disestablished on 10 July 1945. 1 Feb–19 Apr 1943: VB-127 was established on 1 February at NAS Deland, Fla., under the operational control of FAW-12, as a medium bombing squadron flying the PV-1 Ventura. The squadron remained at Deland for ground school and flight training in SNB-1 twin Beechcraft until the arrival of the squadron’s Venturas on 19 March. Training continued at Deland until mid-April. On 19 April, the squadron was relocated to NAAF Boca Chica, Fla., for operational training. Although the squadron was not the first landplane patrol squadron in the Navy, it had the distinction of being the first to have the new VB designation that officially replaced the former VP prefix for all land based patrol squadrons after 1 March 1943. 10 May 1943: The squadron began its flight south to Parnamirim Field, NAF Natal, Brazil, coming under the operational control of FAW-16 after its arrival on 14 May. Repair and maintenance facilities were inadequate, forcing the squadron to cannibalize one of its own aircraft shortly after arrival to have a supply of parts for the others. The primary missions assigned were antishipping patrols, ASW coverage and convoy protection on an average of two or three times each week. Patrols usually lasted six and a half hours, the maximum endurance of the Ventura with a margin for safe return to base. Patrols were run in cooperation with VBs 129 and 107, also based at NAF Natal. 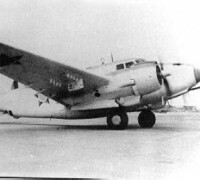 21 Jun 1943: An eight-aircraft detachment was sent to NAF Fortaleza, Brazil. This split arrangement remained in effect during the entire deployment. 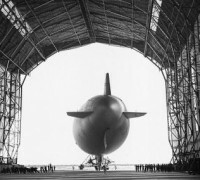 The same repair and maintenance problems existed as at Natal. One perfectly good aircraft was grounded and designated as spare parts. 30 Jul 1943: Lieutenant (jg) W. C. Young and crew attacked and sank U-591, Oberleutnant Raimar Ziesmer commanding, off Recife, Brazil. 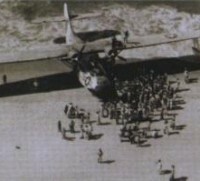 Twenty-eight survivors out of a crew of 49, including the commanding officer, were picked up by Saucy (PG 65). 1 Aug 1943: Lieutenant J. R. Marr lost power in his starboard engine on takeoff from NAF Natal and crashed into the water. The accident killed five personnel and injured five others, most of whom had been aboard as passengers en route to Natal on administrative matters. 2 Sep 1943: VB-127 was withdrawn from NAF Natal and assigned duty in the Mediterranean.